Search Results for "child jump on a trampoline"
Children jump on trampoline at playground among green trees. 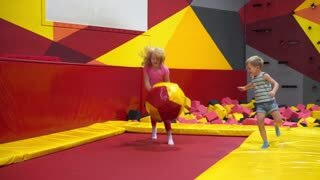 Children jump on a round trampoline. Slow motion. 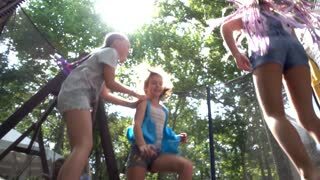 Young children of preschool age jump on a trampoline in the playground. 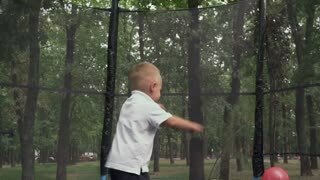 Two small child sit on trampoline and bounce. Slow motion. 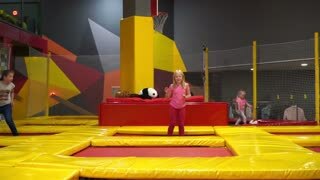 Young children of preschool age jump on a trampoline in the playground, in the foreground a blurred grid.